Size: 8.7"x 5.5"x 6.3" (LxWxH);easy to accommodate cellphone,cosmetics,glasses,keys and personal items. 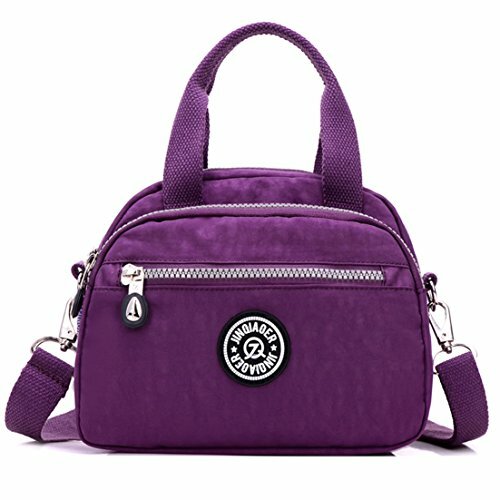 One main zipper compartment with an interior zipper pocket and 2 regular wall pouches.2 front pockets and 1 back zippered pocket. Lightweight,Waterproof and durable.Multiple zip pockets to organise your essentials.